I can't claim too much credit. The web version of guidebook has made it significantly easier to copy them all. 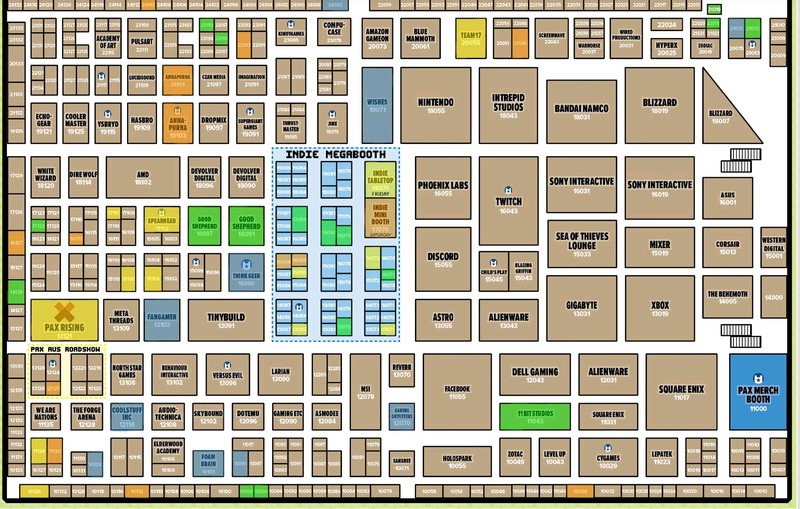 The list helps me build a map for the expo floor (below) and the work to get from list to map is grueling. It's entirely possible they're incorporated into other booths this year. I can't find a pic of the merch designs beyond the pins. Can anyone hook me up?